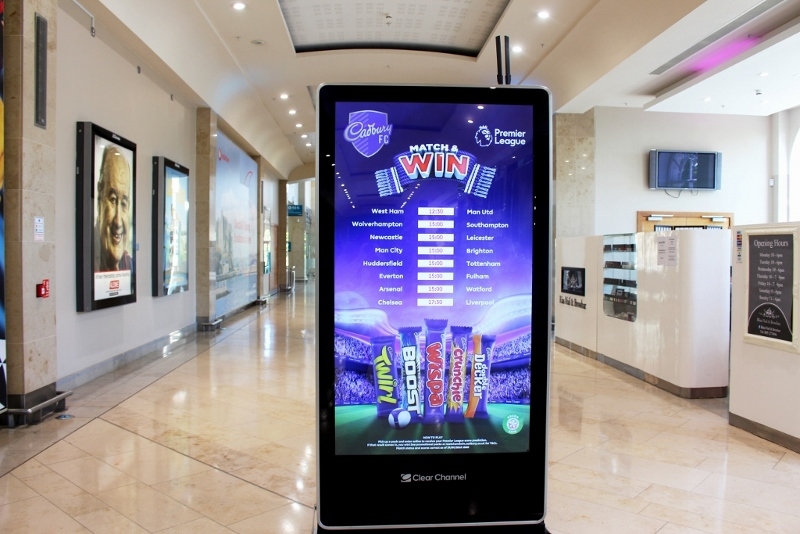 We are thrilled to have been announced as a finalist with Carat for the Digital Media Awards for our Dynamic DOOH campaign for Cadbury Premier League Match and Win in the Retail & Consumer Goods category. The centrepiece of the campaign encompasses dynamic scheduling and multiple data triggers to create compelling creative relevant to the target audience. PML Group’s Dynamic CMS platform was amalgamated with various media owners’ digital screens to optimise the content served in high footfall retail environments. 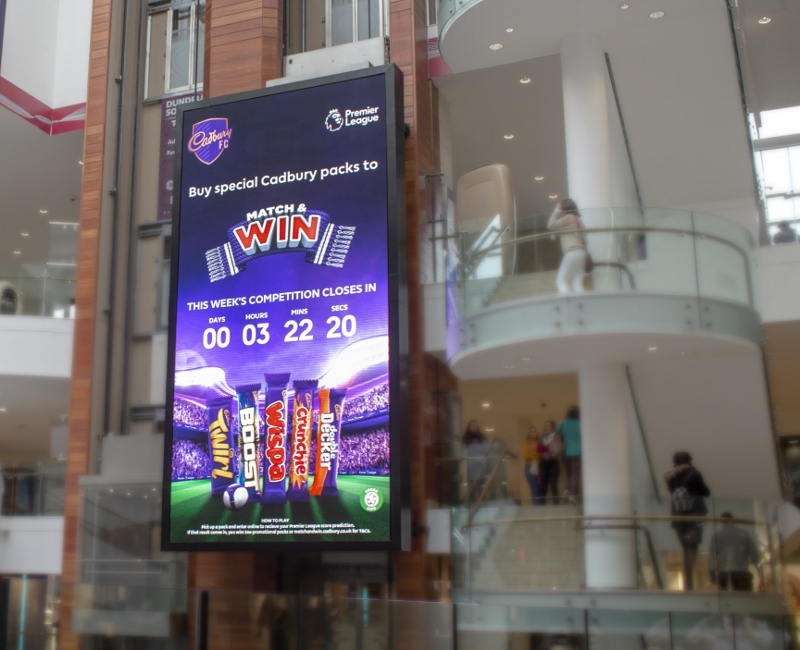 Encouraging shoppers to enter the competition, a live countdown ticked down to the Match and Win entry deadline, while match fixtures and live score updates appeared on DOOH screens on match days. These live scores, provided by Opta were ingested into the Dynamic platform. The winners will be revealed on the evening of Friday 15th February in the Clayton Hotel Burlington Road, Dublin.